Barry Isett & Associates - Isett Awarded a Top Workplace for the Third Year in a Row! Isett Awarded a Top Workplace for the Third Year in a Row! Barry Isett & Associates congratulates our clients, professional associates and project owners who were honored as a 2015 Top Workplace. 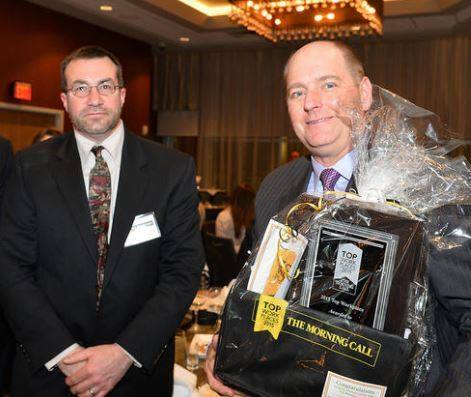 The award ceremony organized by the Morning Call and Workplace Dynamics took place at the Renaissance Hotel, Allentown on March 4, 2015. 573 companies were invited to participate; 30 were honored. Recognition was based solely on employee responses to surveys evaluating workplace environment and organizational health.